The console wars are heating up again. Sony has introduced its PlayStation 4; and Nintendo, its Wii U. Constantly fighting for the top spot with Sony is Microsoft with its Xbox releases. In May, Microsoft introduced its answer to Sony’s PlayStation 4 and supposed heir to the Xbox 360 throne, Xbox One. 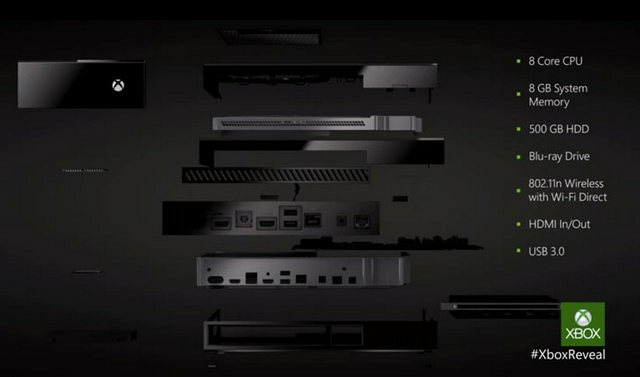 Xbox One takes off on an interesting vision. For Microsoft, the Xbox One is not simply just about the game console market. The company plans to expand the console’s operations well into the Internet and various applications. As for its hardware, Xbox One offers up fairly impressive specs, including a generous number of USB 3.0 ports designed for additional storage. A rundown of a short list of Xbox One’s features can make any gamer drool and fantasize about it. The console comes with a built-in 500 GB HDD, 8 GB of memory, a powerful 8-core CPU, wireless connection capabilities, and Blu-ray player. From these specifications, it is very much a rightful heir to the Xbox 360, but there is a crucial difference between the two, one revolving around the internal storage of both consoles. Considered a disadvantage by some, the Xbox One’s HDD cannot be removed or serviced by the user, two options that were open for the Xbox 360. The Xbox One more than makes up for this lack of user freedom with the inclusion of three USB 3.0 ports, all dedicated towards providing maximum access to external storage, a feature especially helpful for those with large game collections. As everyone knows, USB 3.0 commands pretty fast transfer rates (the theoretical rate of transfer is set at a blazing 500 MB/s), so transferring games from an external storage media into the Xbox’s HDD should be a breeze, even with data-dense games. Another bonus of the Xbox One’s engineering and also insurance for Microsoft that gamers won’t get disgruntled with having to transfer games into the Xbox’s HDD in order to play them is that users don’t have to wait for games to completely transfer into the Xbox’s HDD before they can play. They can go right into the game as it transfers from an external media into the HDD. For even more multitasking and the computer-like approach that Microsoft is aiming for, the Xbox One will also be capable of updating games and installing apps as users play. This entry was posted in Microsoft, USB 3.0 and tagged game console, Microsoft, USB 3.0, xbox one. Bookmark the permalink.